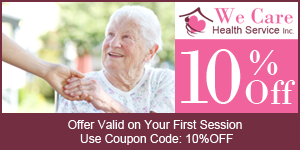 Ensure that your elderly loved ones enjoy their golden years in comfort with senior care assistance from We Care Health Service Inc. Whether he or she simply needs a daily companion or help around the house, our nurses do so with smiles on their faces. When you need to run out for a couple hours to take care of errands or relax, let our child care service be your first thought for babysitting. 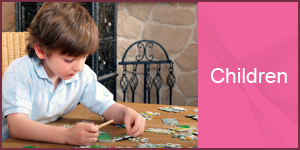 Our team has the skills and experience to ensure your child has a great time and remains safe while you are gone. Always know that your loved ones are in good hands — turn to our home health care agency in Oak Park, Illinois. Since 1999, We Care Health Service Inc. has been dedicated to lending families a helping hand with young and elderly family members in need of a little extra support. We take pride in giving families some peace of mind in knowing that all of our team members are well trained, continue to seek additional training, and work closely with the Department of Human Services. We also arrive in pink uniforms to complete our neat and professional experience. 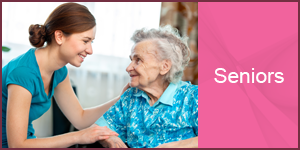 Request service from our home health care agency in Oak Park, Illinois, for top-notch in-home medical care.